Please help contribute to Chris Gordon's medical expenses. On March 22nd he was diagnosed with Necrotazing Fasciitis (flesh-eating bacteria). He has been though several surgeries and although he is receiving very good medical care at Mayo in MN it is still a very scary situation. Once the bacteria is cleared from his body it will be a long road to recovery. 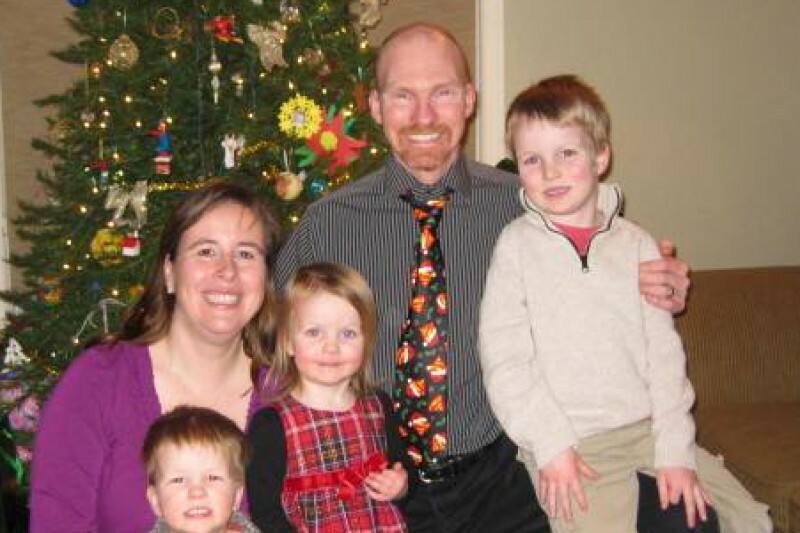 Chris has an amazing wife, Becky Otte Gordon and three small children. This family will need our support in the days and weeks to come. In addition to sending along prayers to this family please contribute to make their recovery smoother. Thank you!! Hi everyone. Some of you were wondering if this is legit - it totally is. My friend from High School, Rachel, set up the site. She lives in Arizona (That's why it says Scottsdale on the top right side of the page). I really appreciate and am overwhelmed by your generosity. Hope things are going well, Chris. You continue to be in our thoughts daily...we miss you!! Keeping you in my thoughts & prayers for a quick recovery! You're a great teacher! Please get better soon!